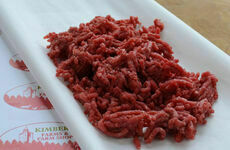 For those who enjoy a classic steak dish, you’ll know that the quality will depend a lot on the way it is cooked. 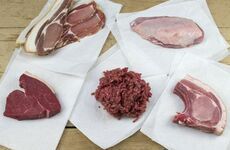 Different meats require a different approach when cooking and creating the perfect steak dish will offer some of the best results when you’ve got it just right. 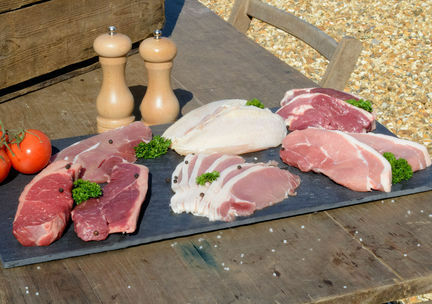 Whether you’re a fan of pork steak, rump steak or sirloin steak, we’ve got a selection of high quality cuts to provide you with the best start for a delicious meat dish. So to help you consider your serving technique, here are some of the best ways to cook steak! Perhaps one of the most popular ways to cook a steak, frying doesn’t require too much effort on your part but it is important to let the meat rest for about 3 minutes before serving. After heating a teaspoon of oil, you should fry the steak in a thick based pan (preferably non-stick) over a medium heat. However also bear in mind that some chefs prefer to oil the steak first, whereas some prefer to apply the oil directly to the pan. It depends on how you like your steak served, but a 1-inch cut of meat should be cooked for about 4 minutes on each side. 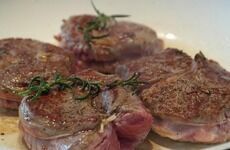 Once the steak is cooked, remember to leave it to rest as it will give it chance to soak up any flavourings or marinade you may have used. A common technique of cooking steak in many restaurants, oven roasting involves the use of an oven proof pan, or an iron skillet. Starting with the hob, you should drop a teaspoon of oil in the pan and allow it to heat up. Next, heat the surface of the steak for about 90 seconds on each side to trap the juices. Once this is done, complete the cooking by oven roasting the meat for 6-9 minutes or until it is at your serving preference. A great choice for meat lovers, grilling allows for a flavoursome taste when cooked on a barbecue for example. Start by drizzling a little olive oil onto the grill before placing the steak down and reduce the heat to medium while keeping the lid or oven door closed. After about 5 minutes, turn the steak over to grill on the other side for another 5 minutes. Avoid turning the steak too much - You only really need to turn the steak over once or twice to ensure it is cooked properly. Use tongs - The more you poke it, the more it presses out all of the juices and flavouring and the drier it will become. To test if it’s ready, you should gently press the meat with the flat side of the tongs. Remember to allow for rest - Although it’s tempting to eat the steak right away, it is important to let the meat settle whilst the juices soak in. 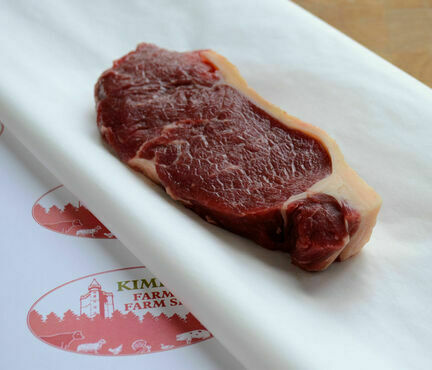 For our full range of delicious cuts of steak, please click here.